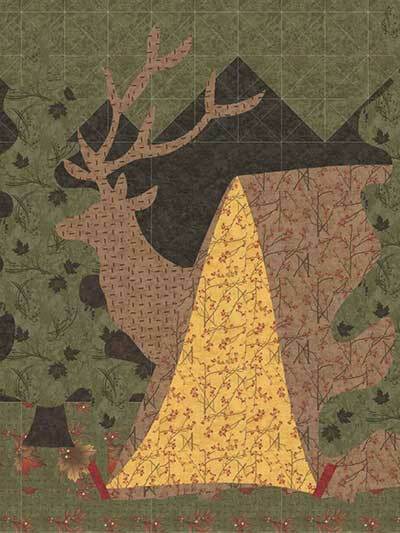 Venture into the woods with this pastoral quilt. 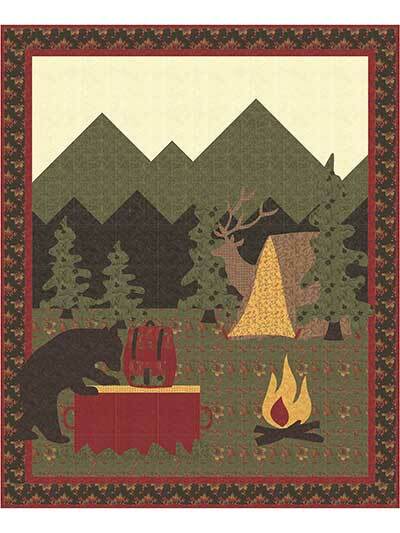 Featuring a black bear, deer and a camping ground, this quilt pattern is great for showing your love of wildlife and camping. Multiple background blocks are created to form the mountains, which makes the piecing fun and interesting. 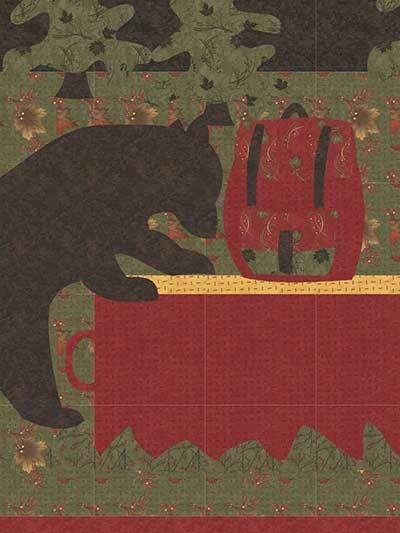 Pattern includes instructions for the large applique using the hand and fusible techniques, as well as step-by-step instructions for the rest of the pattern. Finished size for lap quilt is 56" x 68".